Whilst secure rooms can often lend themselves as domestic solutions where standard safes are not large enough and where high levels of security is required, they are ideally suited for businesses too. Whether you wish to secure personal valuable items, or hold high value stock such as a jewellers, bank or hotel and wish to protect these assets against burglary, theft, fire and explosion a secure room is an excellent investment for both domestic and commercial use. …that Thornhill Security work with a wide range of financial institutions as well as government departments to provide top quality secure rooms or vaults in a wide range of buildings and industries? A secure room is an excellent alternative for a strong room which can be built into the corner of a commercial property without the need to build an additional space out of bricks and mortar. Manufacturers – where they need to keep new designs and prototypes safe from theft or hidden from prying eyes. 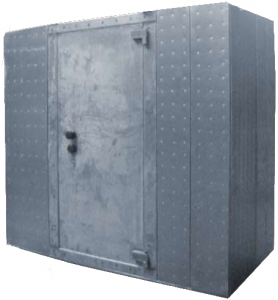 A secure room can be a 5 or 6 sided room where the walls, ceiling and floor are all the same thickness, although this thickness can vary, subject to the quality of the room. Taking into account the potential for entry through every possible angle, a secure room is designed to protect valuables or people from attack. If you are interested in the installation of a secure room but not sure where to begin, give our team a call on 0117 967 4994 who are on hand to help. This entry was posted in Safe & Vault Product Reviews on February 27, 2015 by Phil Hill.